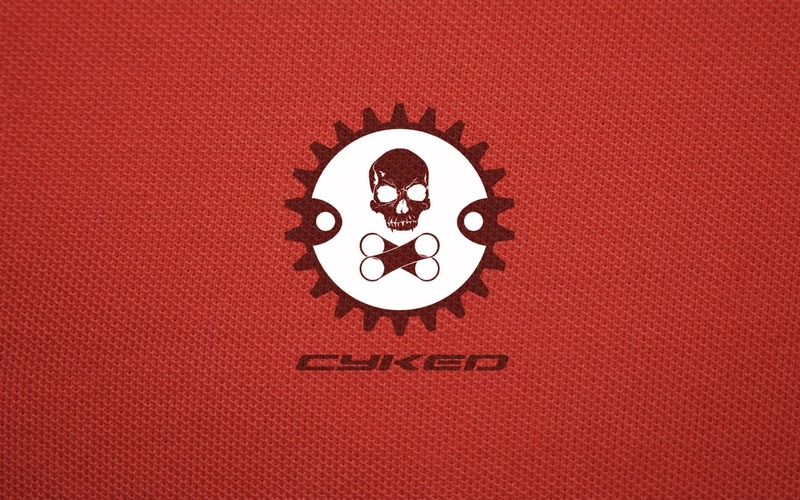 Cyked Bicycling Team is comprised of a group of physical nuts, that do things no human was meant to do. They ride up and down mountains, get this — for fun! These guys came to me asking for something that exemplified their cycling lunacy, I jumped at the opportunity. When I was asked to design this logo, I was given absolutely no constraints, so I immediately went to town, designing out what I considered to be a perfect representation of the team's collective persona. I wanted to create a modified version of the skull and crossbones concept, but also wanted to make sure that the idea of cycling was obvious. The actual implementation of this design was quite simple, I was really pleased with both the speed of which the project came together, and the end result.